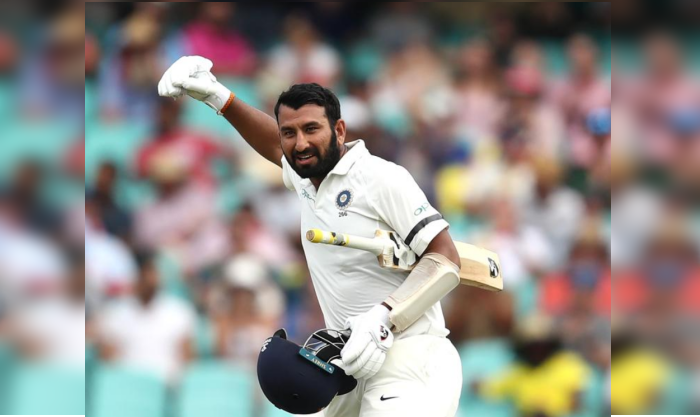 Pujara faced over 1200 balls and slammed three hundreds to help India win their maiden Test series on Australian soil. India won 2-1 in the four-match Test series. The 19-year-old Punjab opener Shubman Gill, who is seen as a future India player, is inspired by Cheteshwar Pujara‘s marathon innings in Australia and said the India No. 3 has set a benchmark for the youngsters. Pujara faced over 1200 balls and slammed three hundreds to help India win their maiden Test series on Australian soil. India won 2-1 in the four-match Test series. “There are very few batsmen who can bat through the day and look to play out the balls. He (Pujara) played over 1200 balls in one tour, which is really phenomenal. To score 500 runs in a tour looks possible. But to face so many deliveries is setting a benchmark for the youngsters,” Gill told reporters on the sidelines of a Ranji Trophy Elite Group B fixture at the Jadavpur University Saltlake Campus ground. “There is a lot to learn seeing the way Cheteshwar Pujara bats, his patience at the crease. Australia had the world’s top bowlers and to score against them on those tough pitches is phenomenal. I love watching him bat. Nowadays the batsmen look to score quick runs.” Gill got out for 91, missing the century mark by just nine runs when he tried to step out Mukesh Kumar only to mishit at mid-off. “I’m pretty happy with the way I’m batting. But surely I can work on the way I’m getting out. I can work on certain areas when I’m batting good. Sometimes, I tend to go with the flow. “In Test matches, you tend to bat in sessions. There will be a period when a bowler will do well and when I will score runs. You have to be smart to pick the ones where you would capitalise,” he said. After returning from the India A’s tour of New Zealand, Gill has scored 268, 148 and 69 not out in the last three Ranji matches, opening the innings. In challenging conditions, Punjab relied heavily on the youngster as Gill has already scored 629 runs from four matches, including two hundreds and three fifties, at an average of 125.80. Recently, Punjab veteran Yuvraj Singh also backed the young prodigy to win the India cap after the 50-over World Cup later this year. “When a person like Yuvraj says something like that it means I am doing good and on the right track. It is a big boost in confidence,” said Gill. “After playing two matches I went to India A tour and then came back and continued to score. I am happy not to lose the rhythm of scoring runs.” But Gill wants to be realistic about making it to the India team in near future. “I see very less chances now. Our one-day team is very strong and the World Cup is round the corner. We have won a very good Test series. Let’s see,” Gill signed off.